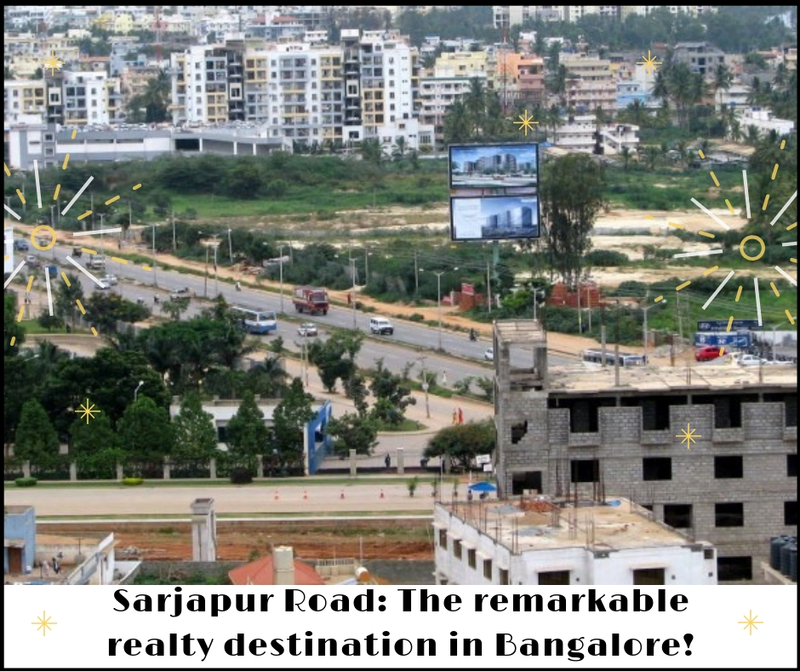 Sarjapur Road: The remarkable realty destination in Bangalore! In the South-eastern part of Bangalore, Sarjapur Road is a promising region that has everything required for a perfect lifestyle. The commercial growth in this area started decades ago had enforced the governments here to take the necessary steps to develop its infrastructure. Sarjapur Road is mainly one of the greatest links which connect the whole city. Due to its great connectivity, businesses over here are presenting remarkable results and everyone wants the opportunity to try his luck here. For professionals, there are several leading ITs and BPOs here where white collar jobs in large numbers are always available. The major role played here by the real estate in bringing up the new standard of lifestyle. The great efforts done by the leading developers have resulted in some glorious residential developments. Rohan Iksha is one of them and it is the complete luxury world of brilliantly designed homes and wonderful amenities. The project has an outstanding range of 2, 3 and 4 BHK luxury apartments in different sizes range from 310 sq. ft. to 2032 sq. ft. Their interiors are very present and the brilliant floor planning makes them more glorious and provides the residents with maximum space utilization. Its strategic location in Sarjapur Road makes it a valuable investment deal and though it is in the priority list of several customers. In Bangalore, there are IT Hubs and corridors in different regions where lots of professionals are doing white collar jobs. All these professionals can now move to their workplaces easily from Rohan Iksha Bangalore. It is well-connected to all the major roads and expressways and so the connectivity is excellent from this township to Bangalore International Airport and other major sources of transportation. Sarjapur Road is a destination which provides a sophisticated and rich lifestyle to its residents and there are so many international schools, best medical facilities, biggest shopping malls, renowned restaurants, cinema halls, chemists, departmental stores etc. here to provide all kinds of public utilities to the residents. Amenities available in the luxurious developments in Sarjapur Road are also of the supreme level and you can experience the best amongst them in Rohan Iksha. Some of the major features available in the amenity section here include day care centre, intercom, crèche, 3-tier security, swimming pool, jogging track, clubhouse, multipurpose hall and many more. The developers of this great township are offering a very genuine price range for these remarkable home and it varies from Rs. 76 lakhs to Rs. 1.47 crores.